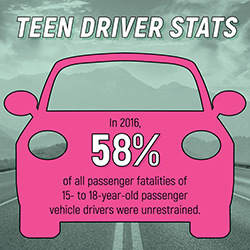 We don't want to scare you, but you should know that the leading cause of death for people ages 16-24 in the United States is motor vehicle crashes. In Alabama, crashes are responsible for almost half of preventable deaths for residents 18 years old or younger. Want to learn more? Visit Teen Driving.